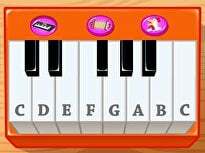 Connect the Dots: practising "M"
The melody to solving the puzzle in this worksheet is connecting the dots and counting to 10! 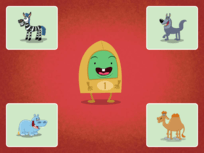 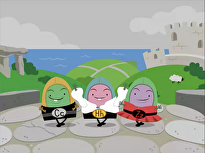 To open this puzzle up and find out what kind of device begins with the letter M your child will need to use a combination of his counting and alphabet skills. 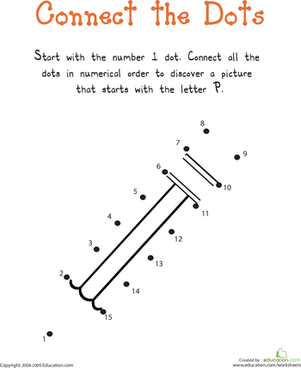 This worksheet will give him practise saying the letter M, and help him with his counting as he connects the dots and reveals the hidden picture. 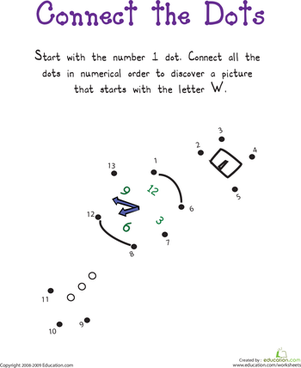 Connect the Dots: practising "W"
Give your child help learning the letter W with this printable connect the dots puzzle. 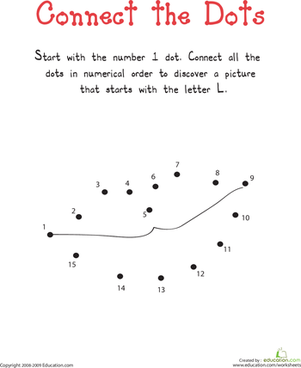 Connect the Dots: practising "L"
Give your child help learning the letter L with this printable connect the dots puzzle. 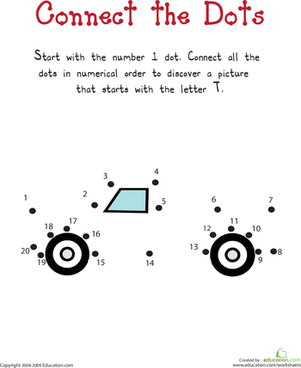 Connect the Dots: practising "T"
Give your child help learning the letter T with this printable connect the dots puzzle. 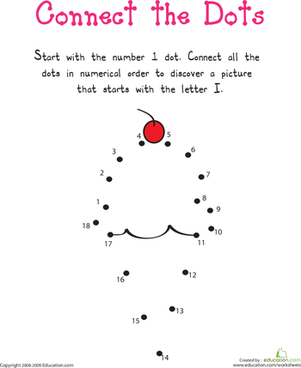 Connect the Dots: practising "I"
Give your child help learning the letter I with this printable connect the dots puzzle. 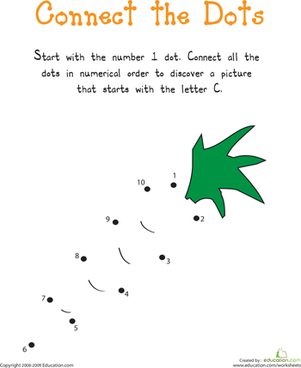 Connect the Dots: practising "C"
Give your child help learning the letter C with this printable connect the dots puzzle. 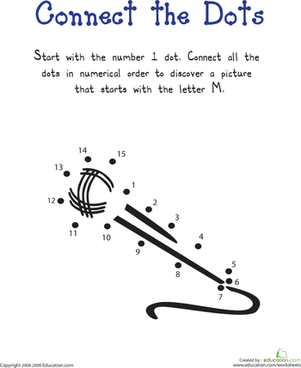 Connect the Dots: practising "P"
Give your child help learning the letter P with this printable connect the dots puzzle. 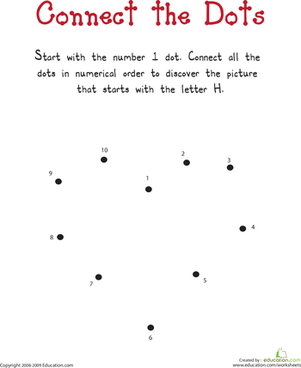 Connect the Dots: practising "H"
Help your child practise saying the letter H by completing a connect the dots puzzle with this printable worksheet. 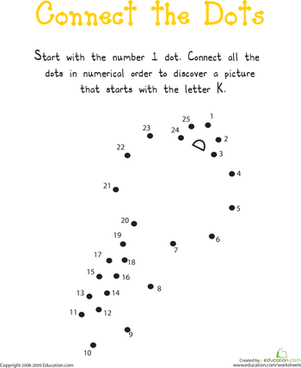 Connect the Dots: practising "K"
Help your child practise saying the letter K by completing a connect the dots puzzle with this printable worksheet. 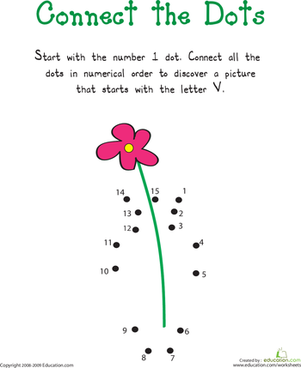 Connect the Dots: practising "V"
Help your child practise saying the letter V by completing a connect the dots puzzle with this printable worksheet. 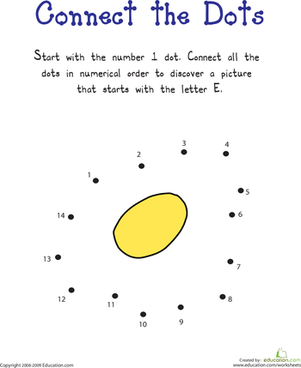 Connect the Dots: practising "E"
Help your child practise saying the letter E by completing a connect the dots puzzle with this printable worksheet. 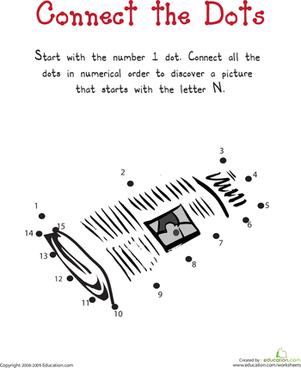 Connect the Dots: practising "N"
Help your child practise saying the letter N by completing a connect the dots puzzle with this printable worksheet. 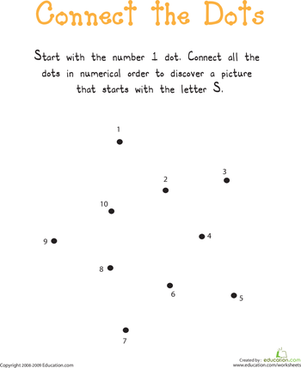 Connect the Dots: practising "S"
Help your child practise saying the letter S by completing a connect the dots puzzle with this printable worksheet.